This past summer Beyond Meat Burger made its big debut. The burger is made with entirely plant-based components and is supported by some prominent figures in the tech industry such as Bill Gates and Richard Branson. With global warming being a serious threat to our food source Beyond Meat Burger seeks to bring more sustainable protein sources to the people. Beyond Meat Burger has been so successful that the company has received more than $75 million dollars in funding. Beyond Meat Burger doesn’t just offer health benefits, but there is no involvement of animals in its production. This means no feed to be grown, no manure, no methane emissions from cows, and no slaughter, which results in a less expensive “burger” production. Beyond Meat Burger is believed to be a new market innovation. Veggie burgers have been around for decades, but the Beyond Meat Burger was designed to taste just like beef, unlike veggie burgers. 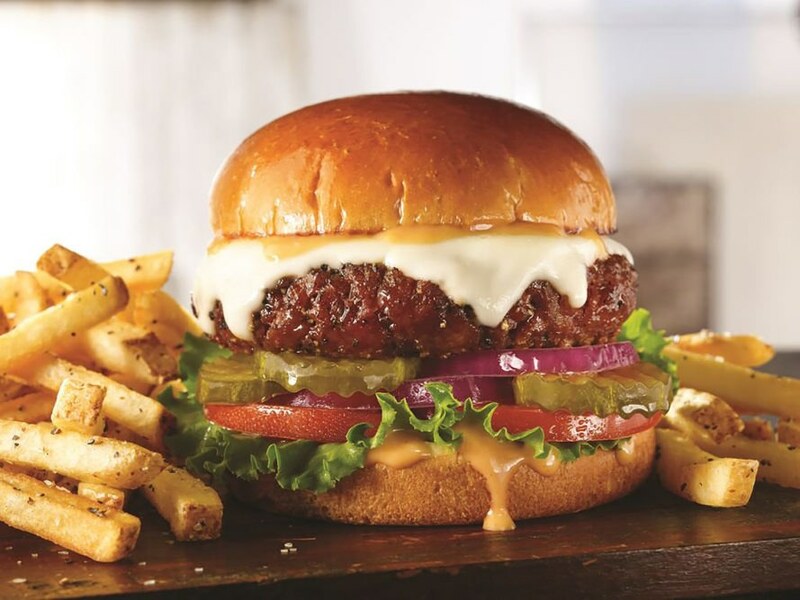 Due to the Beyond Meat Burger’s likeness to beef, it isn’t aimed for the already growing vegetarian and vegan market. Its target consumer is someone who loves the taste of beef and would serve as a substitute for beef burgers. Beyond Meat Burger is creating less resource-intensive ways of producing protein and could possibly disrupt things such as cattle farms. However, is Beyond Meat Burger really a disruptive innovation? Also, would burger lovers really give up beef burgers for a more sustainable option?